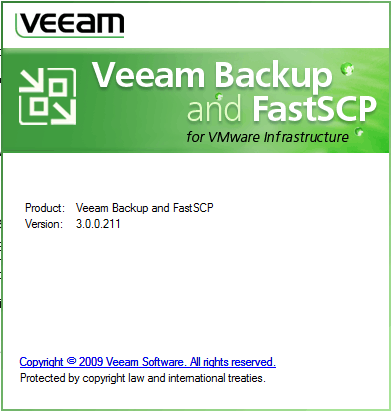 Veeam released a public beta of FastSCP a couple of days ago. I downloaded the beta and installed it. It looks pretty cool so far. Q: Do I need to switch ESXi into “unsupported” mode and enable additional service console daemons in order to be able to use FastSCP v3? A: No, FastSCP v3 does not rely on ESXi service console components. Instead, it uses VMware file management API to copy files. Q: Are 64bit OS supported? A: Officially, 64bit OS are not supported. However, but I’ve been running FastSCP successfully on a 64bit Vista since day 1. The only issue I have run into so far, is a COM error appearing when trying to copy the file between two datastores. Copying from and to the local computer works fine. Q: I am new user. 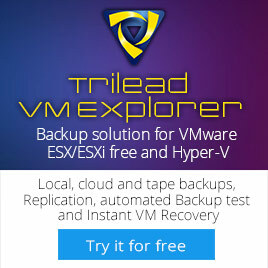 How do I copy files to my ESXi server? – Copy interactively: drag and drop, or copy and paste the required file or folder (similarly to how you copy files in the Windows Explorer). – Copy using scheduled file copy job (if you want to schedule file copy for off-hours). 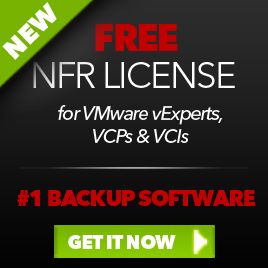 This entry was posted in Veeam and tagged FastSCP on January 20, 2009 by afokkema.